Kurlee Belle: What can Vitamin E do for you and your hair? We all know it's important to take our vitamins. Vitamins help you grow big and strong as your mom would say while handing you a Flintstone vitamin (We are Flintstone kids- Ten million strong and growing). It turns out that vitamins are good for us and can help grow healthy, strong and shiny hair. With that said, researchers have found that Vitamin E in particular contains antioxidants that increase scalp circulation stimulating growth and preventing hair loss. 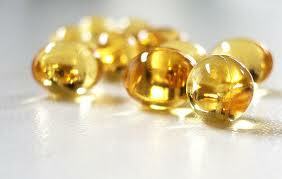 Vitamin E can be applied to the scalp by breaking open vitamin E capsules and gently rubbing the gel onto the hairline. Other great sources can be found in vitamin E serum, dark leafy vegetables, eggs, nuts, and vegetable oil. The most important part of growing beautiful hair is to take care of your body. A healthy diet along with a hair regimen = a better you!